 Article 24 on "The essential equality of the sexes"
The film highlights activities undertaken by Japanese women ever since WWII to elicit widespread acceptance of the spirit in which these articles were conceived. And, last but not least importantly, the film also makes reference to the future by pointing out a way forward. In 2005, Ms Fujiwara, the Executive Director of the film, obtained the Ministry of Education’s Award for Fine Arts. 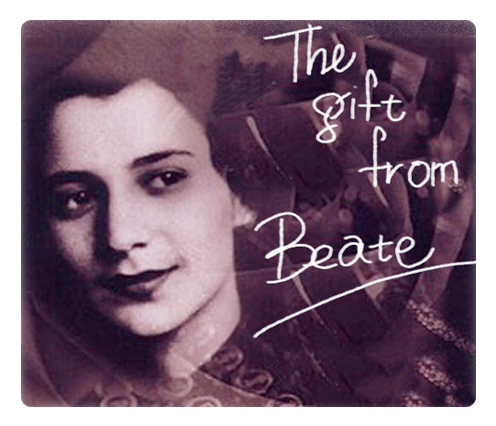 Since its release, "The Gift from Beate" has obtained a number of awards, including: 2004, In the Top Ten (8th place) at the Cultural Film of Kinema Junpo; 2004 Third Prize in the non-fictional category of the Japanese PEN Club Awards; More.